Without question, the best safe money solution. Create your own “private pension”. First, it is important to know the basic differences in annuities. There are generally three types of annuities – Fixed, Indexed and Variable. In a Fixed annuity, the insurance company agrees to pay a specified rate of interest for a specified period of time. In an Indexed annuity, the insurance company credits you with a return that is based on changes in an index, such as the S&P 500 Composite Stock Price Index. If the index does not increase over a specific period, usually one year durations, you do not earn a return in that period, but you do not go backwards. You either earn a return each year based on the contract specifics or you make $0. In a Variable annuity, you can choose to invest your money into different investment options, typically mutual funds. Your investment will increase or decrease based on the performance of your investment choices. Because this is our Safe Money section, we are not discussing Variable Annuities. In my opinion, over the past decade, the development of Indexed Annuities has given advisors a great tool to create reasonable returns safely. Like all investment choices, Indexed Annuities should be used to accomplish a specific purpose. One such purpose is to create a lifetime income. 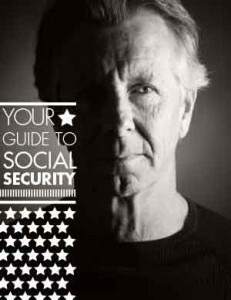 In many cases it is possible, if designed properly, to create a “pension-like” income stream that along with other guaranteed fixed income such as social security, to cover lifestyle cost and give you peace of mind that you will never be poor. That’s worth something! The best overall “tax free” retirement plan. There are many reasons to have life insurance. One that is rarely thought of is for retirement income and if properly structured, tax free or tax reduced retirement income. If you are insurable, this should be a cornerstone of your financial plan. We all have a plan to pay the cost of long term care! How? If you don’t have a plan in place, then you have decided to self-insure, whether you realize it or not! If all your resources are eventually spent down to the current Medicaid levels, you may then qualify for Medicaid — a government poverty program. You decide to share the risk by purchasing a custom designed Long Term Care insurance policy, usually this is the most cost effective choice. A plan can be designed around using some of your fixed income to reduce the cost of coverage. You may obtain a hybrid annuity that uses the amount you deposit first, but then adds an additional dollar benefit that extends your ability to pay for care. This leverages your own money and can be especially helpful for those that can’t qualify for traditional long term care insurance. You may purchase a life insurance policy that includes an accelerated death benefit rider. This rider allows access to a portion of the death benefit in the event a long term care need should arise. Of course, you must be insurable. The un-funded cost of long term care can be the main cause of becoming impoverished! For this reason, I feel that everyone over 50 should consider this issue and decide now how it will be addressed. We include this process in all financial planning for those over the age of 50. We shop all plans to help you make a wise choice. There are of course many plans of insurance available to consider within each category above. All of them have their own array of benefits and also exclusions and limitations. These would be fully disclosed and explained in any recommendation.